Committed to future-ready learning spaces for students of all ages. 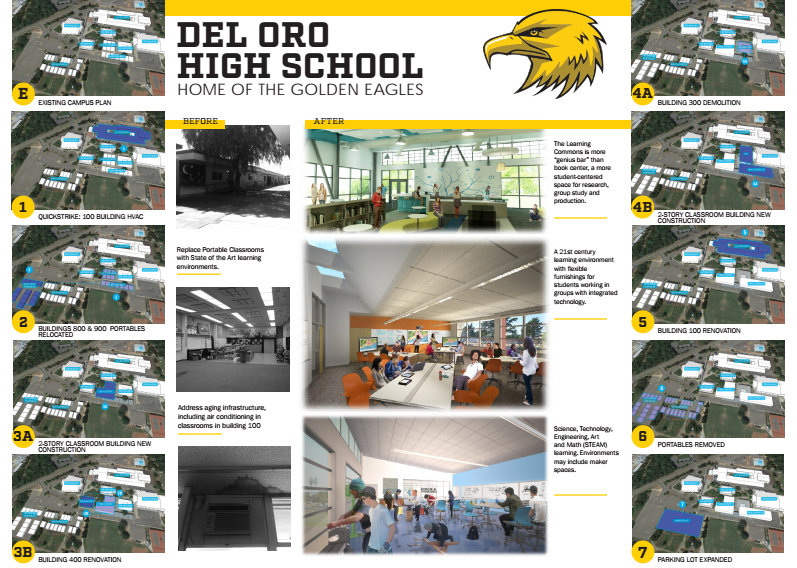 Our comprehensive high school campuses range in (vint)age from 110 years at Placer, to 57 years at Del Oro and Colfax, to 12 years at Foresthill. 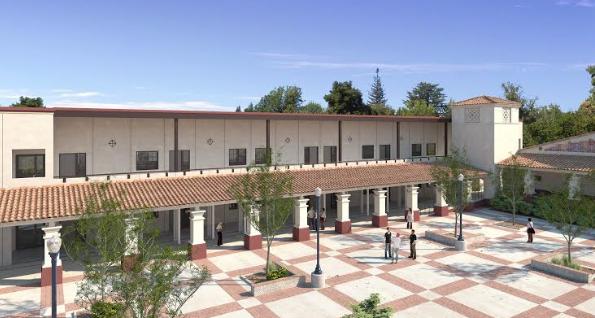 Architect rendering of "high-performance" classroom building on lower campus (the "bell tower" wing) of Placer High School, Auburn, CA. The current list of projects by school site is listed here. 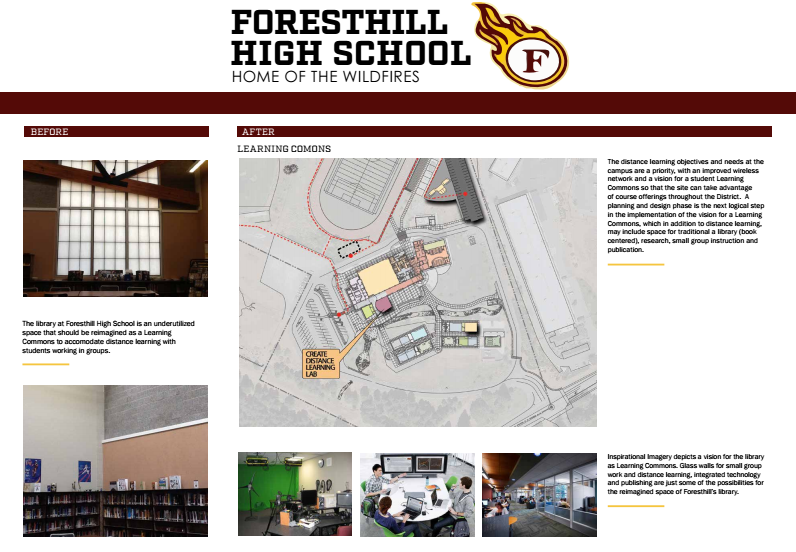 It's taken shape over the course of many months and includes input from staff, students, parents, community members, board members and local leaders. Slide presentations for each school are attached at the bottom of the webpage. Education Options is our alternative school setting in North Auburn. 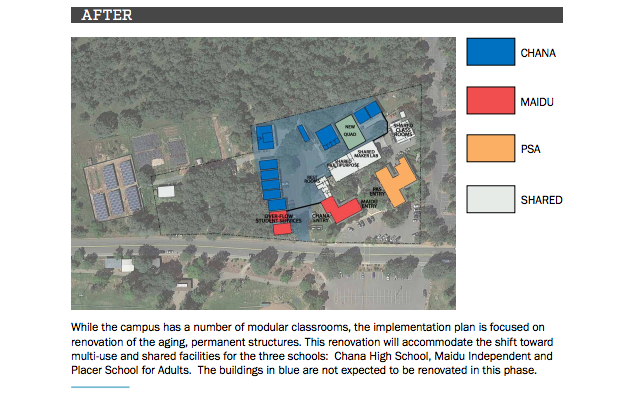 It has been home to Chana and Maidu students for over 30 years. 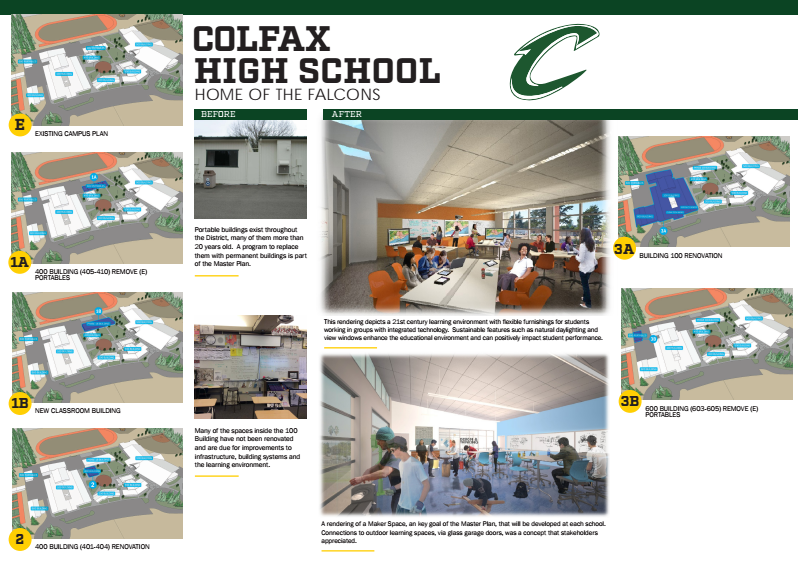 Architect rendering of "high-performance" classroom building adjacent to Marson Stadium on the Colfax High School campus, Colfax, CA. Financing school construction projects often involves general obligation bonds approved by the voters. We've put together frequently asked questions explaining what G.O. bonds are and why they will be critical to our district's future. The tax rate assumptions are also posted for your information. The PUHSD school board has passed a bond resolution to place Measure L on the November 8 ballot. 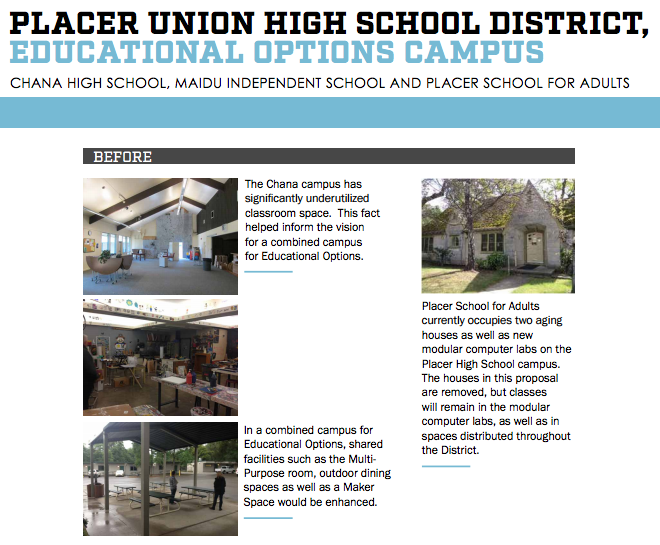 Placer School for Adults has serviced the community for over 70 years. Plans are to move its office and primary classrooms to the Educational Options campus. 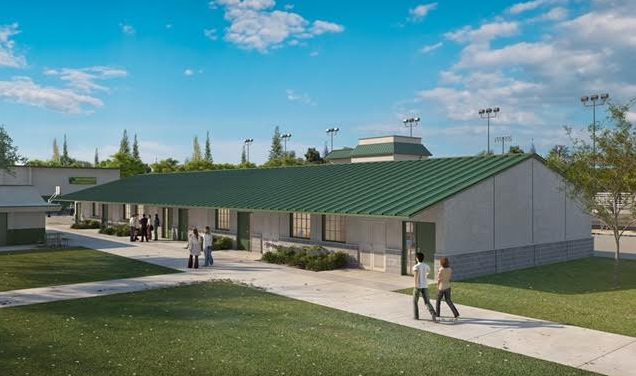 Architect rendering of "high-performance" classroom buildings flanking the Bonner Gym on the Del Oro High School campus, Loomis, CA. 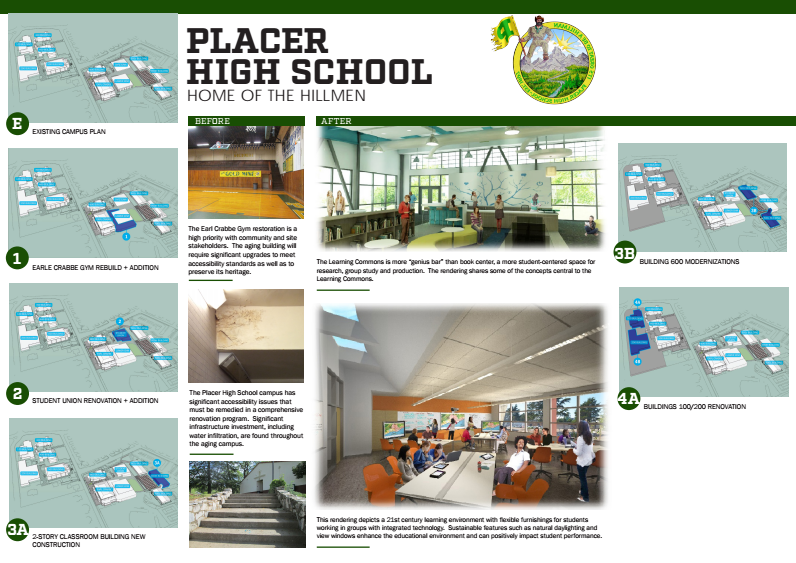 Placer Union's last bond election was in 1999 for what was called Measure W. It passed with super-majority support by the voters.